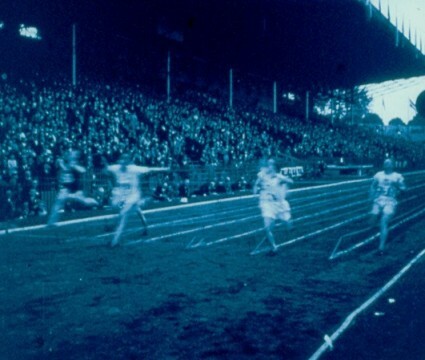 Last week we wrote a post on the British Board of Film Classification, whose centenary occurs this year, and whose website includes a database of the films it has examined since 1912. The films can be searched by date and classification, and so it is possibile to produce a list of all of the films of the silent era rejected by the BBFC as being unsuitable for screening in the UK. There are 208 of them, but the database provides little more than English language title, the date of examination, the distributor who submitted the film, and the classification (R for Rejected). Some of the films are familiar titles (Battleship Potemkin, America, The Seashell and the Clergyman) others much less so, and while most are American there are films from several other countries less easy to identify. It should be noted that this is not a complete list of all films rejected by the BBFC in the silent era, records for the rejection of some films (such as Lois Weber’s abortion drama Where Are My Children?) apparently no longer existing. Other films (such as Auction of Souls) were never submited to the BBFC, which would have rejected them otherwise. It would be good to know the correct title, date and country of origin for each film. There records at the BBFC that may say more, though in most cases the films are simply listed in annual reports and give no more information than is provided on the database. So we have produced a list and started to identify them. This has mostly involved cross-checking with the Internet Movie Database, plus books written on the BBFC which discuss particular titles. But there are many gaps, and the Bioscope invites you to help fill them. Each record below gives the title as submitted to the BBFC (hyperlinked to the BBFC database record), the date of examination, the name of the distributor, and then the true title, country, year, director and production company where I have been able to find these. Certain producers and distributors recur with interesting frequency: Fox Films, Nordisk, Cines, Trans Atlantic (European agents for Universal), Thanhouser and Pathé Frères among them, while there are some obscure companies involved, such as Inter Ocean, about whom it would be good to know more. The BBFC records have been copied as they appear, including typos and anachronistic references to film companies that only came into being after this period (Gaumont-British, 20th Century-Fox). 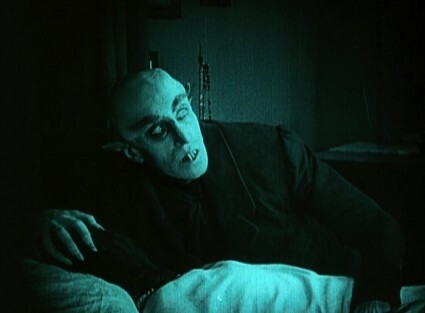 As for the kinds of film censored, the BBFC’s website does not give the reasons for rejection and to give plot summaries where these exist could be misleading, as the reason for rejection was not always so obvious (Nosferatu, for example, was probably rejected – under the title Dracula – on account of a copyright claim in Germany from the estate of Bram Stoker rather than for its horrific content). But there are films on prostitution (The White Slave Traffic), drugs (The Case of the Doped Actress), venereal disease (The Spreading Evil), politics (Irish Destiny), childbirth (The Mysteries of Birth), racial prejudice (Free and Equal) and religion (Leaves from the Book of Satan). Some of these were not so much rejected for their content as for being propagandist in tone, the BBFC having decided to rule against films which solicited public opinion. There are newsreels from the wartime period, the only time topicals were subject to censorship. There are films whose offensive character it is now hard to see (how did Hal Roach come to upset them so often?). If you can help to identify any of the films (or correct y identifications), please say so through the comments and I’ll add the details to the post. The films are listed in the alphabetical order offered by the BBFC database, with definite articles (A and THE) recognised. What’s missing dearly is a proper list of alternative filmtitles for identification purposes and cross border research. CORALIE & CO = Madame Coralie & Co. (1914) from Italy. SINS OF YOUR YOUTH = Ekspeditricen (1911) from Denmark. The film had a similar release title in the Netherlands at the time. THE WEAVERS = Die Weber (1927) from Germany, though its French distributor gives reason for doubts. Thank you Karel, I’ll add these to this list, with qualifications where necessary. I haven’t started looking in non-UK/US catalogues as yet. I like the ideas of cross border research, particularly where we can see which films were banned in one territory but viewed as acceptable in others. Are you sure about Exspeditricen? If so, it’s a 1911 film being shown in the UK in 1914. According to Ron Mottram’s The Danish Cinema before Dreyer its English title was The Shop Girl. It should be possible to make links between the film censorship catalogues of different countries. Censorship archives in the Netherlands are ready to cooperate to this end. It would facilitate a new line of comparative research. Several Danish films were rereleased in the Netherlands during the First World War, often with a new title. Maybe the same practice applied to the UK? I know people at the BBFC, and I know they are interested in the potential of their database. A subject for discussion, I think. I am suggesting that Greed No. 14 = John Needham’s Double (USA 1916 d. Lois Weber, Phillips Smalley Bluebird Photoplays via Universal). The date and the distributor fit, and other Lois Weber films were rejected by the BBFC, but what leads you to make the connection? And where did such an odd title like Greed no. 14 come from?